Bungalows for rent in Paknampran. TownHouse with large communal pool in Avenue 88. 2 bedrooms at Summer Land for rent. Toradol Resort Plus – 3 Bedroom House for Rent. Pool villa for rent near Black Mountain Golf Course. 4 bed pool villa near Pranburi beach. 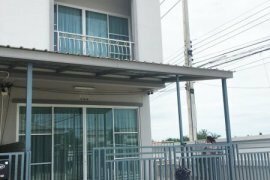 House for rent of 152sqm located at Hua Hin, Prachuap Khiri Khan. Three bedroom pool villa in Tippawan 5 for rent. Great value House for rent in popular location. Property for rent, close to central of Hua Hin. House for rent of 154sqm located at Hua Hin, Prachuap Khiri Khan. A lovely House near Khao Tao Beach. 3 Bedroom Villa at Orchid Palm Residence. Hello, Please contact me, I am interested in houses for Rent in Hua Hin. Best Regards. "If you are looking for a Hua Hin house for rent this website has the biggest selection of houses in Hua Hin. Most Hua Hin houses come with a garden and often a pool. They are an ideal retreat to escape Thailand's high temperatures. There are houses for rent available all over Hua Hin and thanks to Thailand-property.com you can quickly and easily find what you are looking for. Just select your preferred price range, area and number of bedrooms and let our search engine do the rest. Within seconds you will be able to browse an updated property list from Hua Hin's best real estate agents. Don't miss out and make sure you are the first to know about new Hua Hin houses! Use our 'Get Property Alert' tool to set up property alerts for houses for rent in Hua Hin tailored to your needs. Whenever there are new listings for houses that suit your criteria you will immediately receive an email notification. Its never been easier to find a house for rent in Hua Hin!" Thailand Property is Thailand’s leading online real estate rental resource, listing 637 affordable houses for rent in Hua Hin. Save this search to receive emails when new houses for rent are listed in Hua Hin. Rental properties in Hua Hin are provided by Thailand’s top real estate professionals and private home owners. The average houses in Hua Hin rental asking price was ฿ 77,026 on 1 Apr 2019 and the average size was 279.8 square meters with 3.3 bedrooms. Agents such as Supreme Real Estate Co., Ltd, Accom Asia Co.,Ltd and RE/MAX CondoDee can also help you speed up your houses search in Hua Hin. You can also create your own rental listing by uploading your houses for rent for free in two easy steps - signing in and creating a property ad. In addition to rentals in Hua Hin. Thailand Property also provides houses for sale in Hua Hin should you like to compare availability.